Duncanville police have identified the persons of interest involved in last week’s hotel robbery. This week police identified and arrested the person of interest in this robbery. He is a 14-year-old Juvenile so his name is being withheld. Another juvenile in this case has been identified and charged as a suspect . A warrant has been issued for his arrest. Detectives are still soliciting the public’s assistance identifying the second suspect. Described as an African American male, approximately 5’10” – 6′ in height. He was wearing a red shirt, topped by a black hooded sweatshirt. He was also wearing black pants with medium length deadlocks. 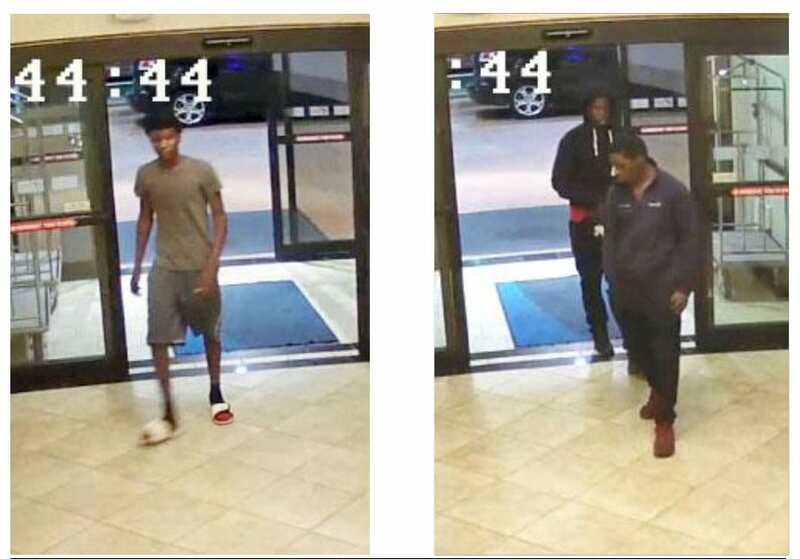 DUNCANVILLE — Detectives are seeking the public’s help in identifying suspects involved in the recent shooting of a Duncanville hotel employee. 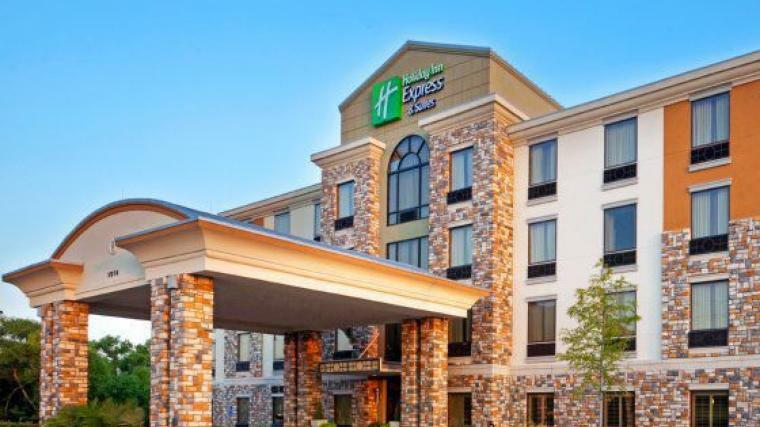 According to police reports, three African-American men, ages ranging from 16-21 took part in robbing a Holiday Inn Express late Wednesday night. The clerk, who reportedly was not resisting, was shot twice. He was then transported to Methodist Dallas with non-life threatening injuries. The clerk was released Thursday. Surveillance video shows the suspects casually walking in. The first appears to be talking on a cell phone while the other followed closely behind him. Working with another customer at the desk, the clerk doesn’t appear to acknowledge them. After scanning the lobby, the suspect seen on the phone then turned around suddenly and walks out of the building. His accomplice follows close behind. Moments later, the two men return and walk toward the front desk as they had done earlier. But this time, both pull out guns and point them at the clerk. One of the assailants climbs over the front desk. There is no sound in the surveillance video but presumably, as the other customer is watching in horror, he is told by the second assailant to get on the ground. That suspect then backs toward the door waiting for the other suspect to return with the undisclosed amount of money. It’s unknown whether there is a altercation off screen between the clerk and suspect. However, when the second suspect hears gunshots, he quickly retreats outside. The first suspect is described as a black male, 17 – 21 years of age, 5’10”- 6’, wearing a black hooded sweatshirt, red shirt underneath, black pants and medium length dreadlocks. Suspect #2 is a black male, 16 – 19 years of age, 5’8”- 5’10”, wearing a dark colored long sleeve shirt, dark pants and short hair. According to a witness, the suspect fled the hotel in a dark colored Porsche SUV before officers arrived. Police are also interested in a young man that entered the lobby just minutes before the robbery. He looked to be 17 to 21-years-old. He was wearing a grey shirt and grey shorts. The video shows him interacting with the desk clerk then leaving. This person isn’t a suspect but he is considered a person of interest. If there is any more information known about this incident please contact the Duncanville Police Department at (972)-223-6111 or contact Crime Prevention Officer Doug Sisk at (972)-780-5027.